What types of events do you perform for? I specialize in close-up magic for private parties, but I perform for larger audiences too. If you are having a celebration, such as a birthday, anniversary, graduation, or just a get-together with friends, I would be an ideal entertainer to be a part of the fun. (See the anniversary celebration video clip in “Daryl’s Magic”.) I can be a guest performer for a corporate event or fundraiser, or emcee a show along with a cast of performers. The official term for that role is “magician of ceremonies”. I custom tailor each and every show that I perform to the special needs of my clients. I also perform for charities, if it is for a good cause. Do you perform for children’s parties, or for adults only? I am not primarily a children’s entertainer, but I do perform shows designed for the whole family. People of all ages love my magic. There is no material in any of my shows that would be offensive or inappropriate for children. 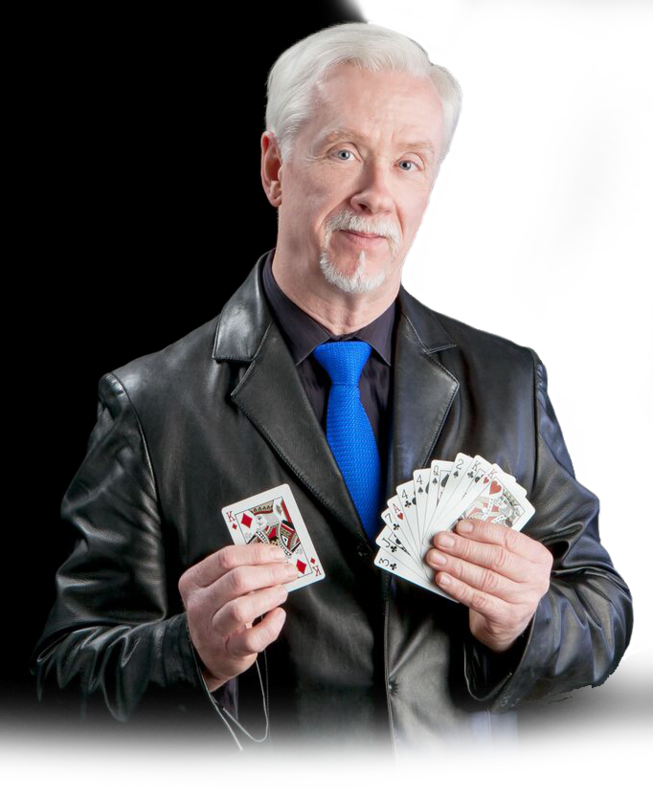 I have studied and practiced the art and craft of close-up magic for over fifty years. (Wow, I just had a dizzy spell!) During that time, I have had the great honor of meeting and working with some of the top professional magicians in the entertainment industry, who have been an immense help and inspiration to me in my progress as an artist. My magic show, therefore, is a unique, one-of-a-kind performance that you won’t want to miss. I just want my audiences to be entertained and of course as a magician, I want you to be amazed too but the most important thing is that you take home a good experience after my show. And, as I mentioned earlier, I customize each and every show that I perform to the special needs of my clients. I also give free quotes, so let’s talk! Is it expensive to hire a magician? I do not use large expensive stage props with a crew of assistants, so I am able to keep the cost of producing a magic show within the budget of just about anyone planning a party or event. Do you need a stage to perform your magic? No! Since my specialty is close-up magic, I can perform anywhere in any size space. But I welcome the opportunity to perform on larger stages, too. Do you teach others to perform magic? I can teach others to perform magic, but if you want to learn magic, there are lectures and workshops that you can attend to be instructed by experienced professional teachers and performers. Contact me and I can provide you with that information.